Two of the league's best will take to the ice on Friday when the Blackhawks welcome the Blue Jackets at United Center. The Blackhawks control the top seed in the Western Conference and will look to add to their riches against the streaking Jackets, who've hit their stride after a down 2015-16 season. The Rangers, Red Wings, Bruins and Flames also make this week's top games list. With the Hawks set to make a ninth straight playoff appearance, fans may get a preview of a potential Finals matchup when they welcome the Jackets to Chicago on Friday. Playoff pricing will be in effect on the resale market, too, as Blackhawks tickets currently average $326. The cheapest available tickets for Friday's game are now $97 each. Playoff hockey is coming to New York, and the Rangers will have a sneak peak at a prospective matchup when they host the Penguins at Madison Square Garden on Friday. The Pens managed to take down the Rangers in just five games in the first round of the 2016 NHL playoffs and have gone 1-2-0 against them this season. They'll seek some revenge on home ice this weekend, where Rangers vs. Penguins tickets average $312 and the get-in price is $89. Will the Leafs finally break their three-year playoff drought? They find themselves in the thick of a four-team battle for the second wild-card spot, with the Bruins, Lighting, and Islanders all lying in wait. Their final visit to Joe Louis Arena on Saturday is generating plenty of demand, as Red Wings tickets against the Maple Leafs own an average resale price of $279 and a $149 get-in price. The Bruins currently own the second wild-card in the East and will look to keep the Lightning, Islanders, and Maple Leafs at bay with a series of wins this weekend. They'll take on the Panthers at home on Saturday in what will be the fourth most expensive game this week. Bruins vs. Panthers tickets average $239 and the get-in price is $95. With the Sharks jockeying with the Ducks for the top spot in the Pacific, their trip to Calgary on Friday serves as the fifth priciest NHL game this week. Flames vs. 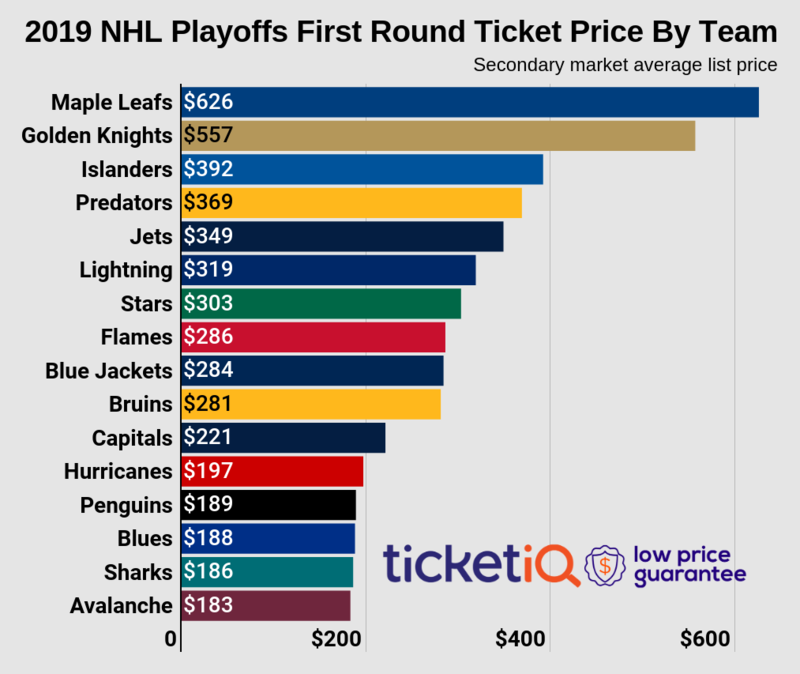 Sharks tickets are averaging $173 with the cheapest listed from $55 each. If the season ended today, the Flames would take on the Ducks in the first round.